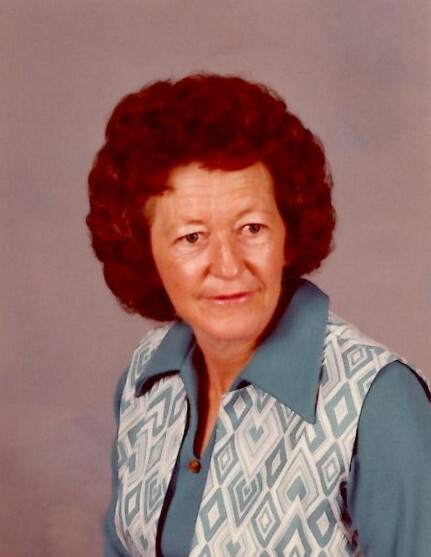 Eva Ammons Hollis, 87, passed away Wednesday, March 20, 2019 at Skyline Medical Center. She was a resident of Greenbrier, Tn. and was born in Carrollton, AL. She is survived by her children, Paul (Carol) Helms of Tuscaloosa, Al., John Helms of Woodbury, Darlene (Johnnie) Dyer of Gordo, Al. and Doug (Gerri) Helms of Greenbriar, Tn. ; special niece, Nell Jolly of West Point, MS.
10 grandchildren and 14 great grandchildren also survive. She was preceded in death by her parents, John D. Ammons and Virginia Brandon Ammons; her husband, Earl Hollis; 2 daughters, Sara Jane Martin and Nancy Abigail Kelley and grandson, Chadwick O’Neal Kelley. Ms. Hollis was a member of the Church of Christ and was a retired LPN. She worked at General Hospital, VA Hospital, Sunny Point Nursing Home and Woodbury Nursing Center. She was an avid reader and enjoyed crocheting, gardening and canning. Funeral Services will be 12 noon Saturday, March 23, 2019 in the Chapel of Woodbury Funeral Home with Bro. Jerry Gilley officiating. Interment will follow in the Thyatira Cemetery. Visitation with the family will be from 10 am until 12 noon Saturday.